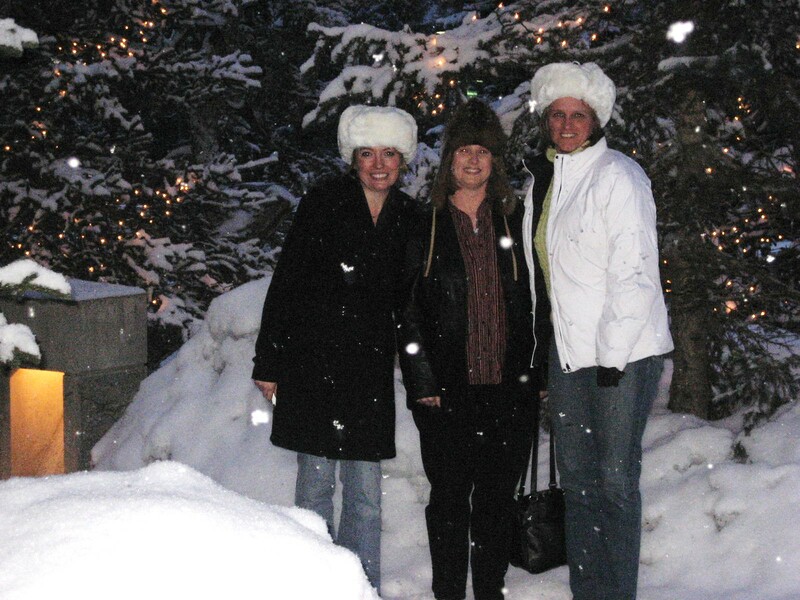 As mentioned in the previous blog (Alaska in Summer), we impulsively decided to return to Alaska in winter – Yes, WINTER!!! But for good reason! 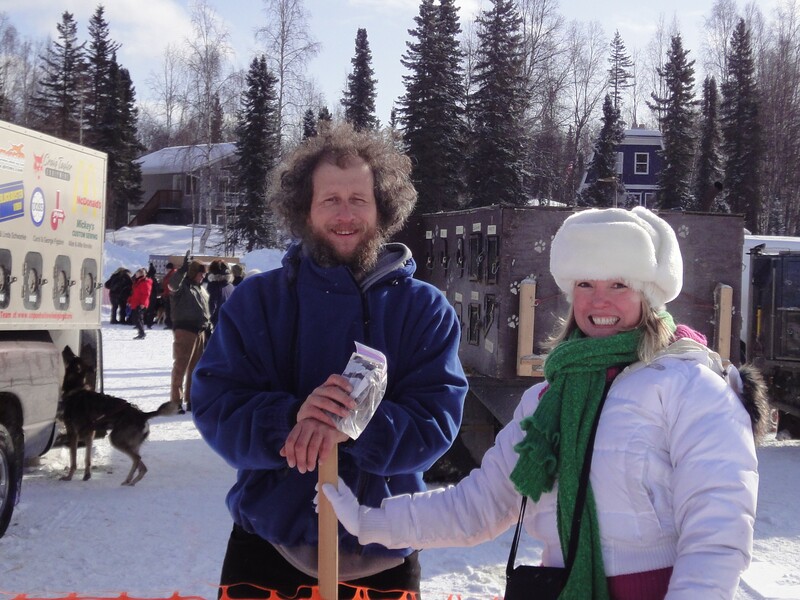 To experience The Iditarod… as a spectator only, of course. I canNOT even imagine actually participating! 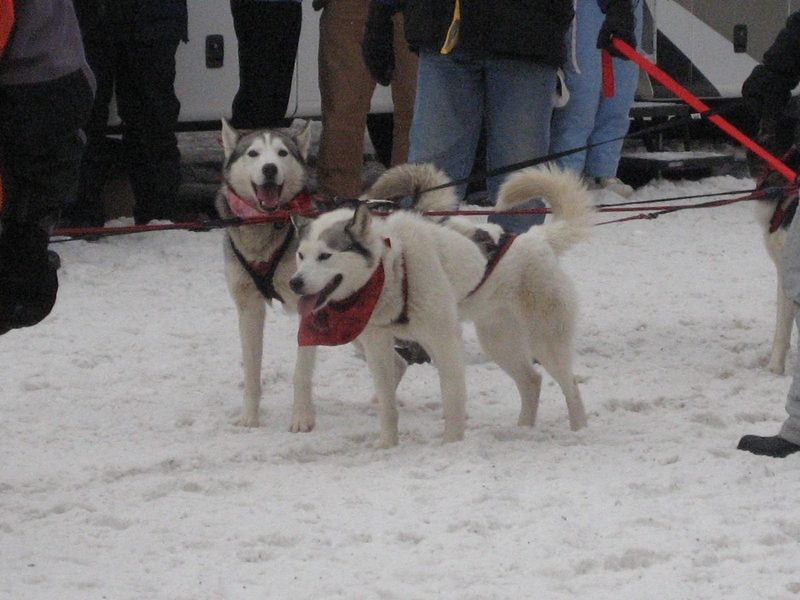 Once upon a time, both sections were used for winter travel, but when the Iditarod race first started, the mushers only used the Northern Route, and the Iditarod website explains that “the smaller villages were being heavily impacted by the race coming through their village year after year”, so they started alternating the routes. 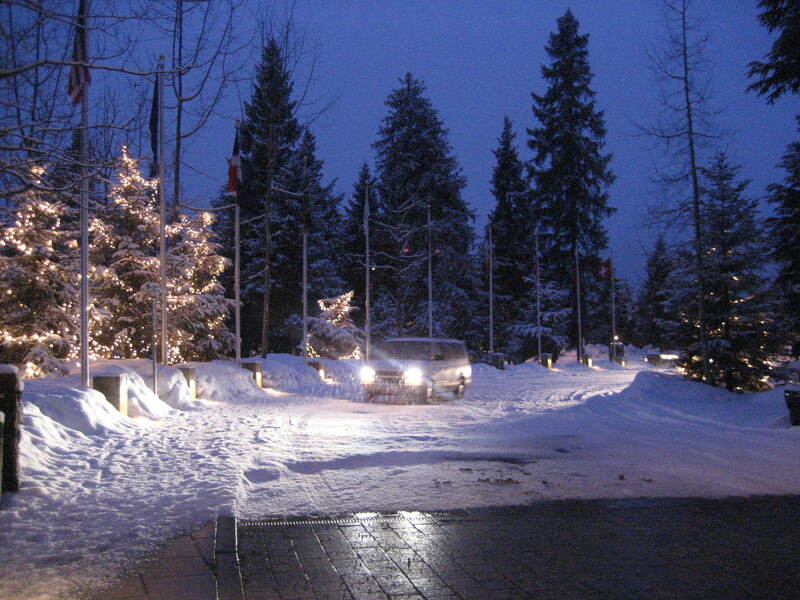 We arrived on Friday, the day before the Ceremonial start (which I talked about in my February 27th blog), and were whisked off to The Double Musky Inn, in Girdwood, about 40 miles (64 kms) southeast of the Anchorage airport. 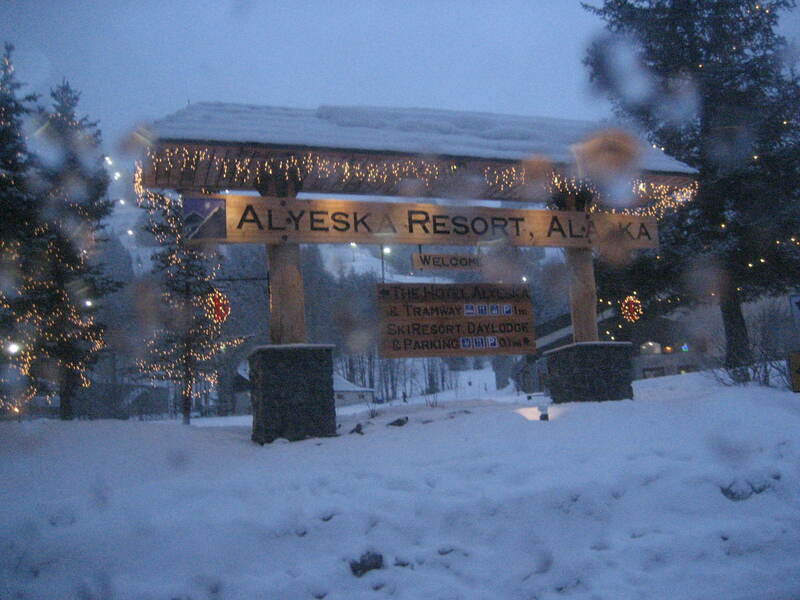 The Double Musky is about 2.5 miles from the Alyeska Ski Resort, and was opened in 1962 as an after-ski bar. At that time, “cooked their own steaks over a fire in the front dining room”. 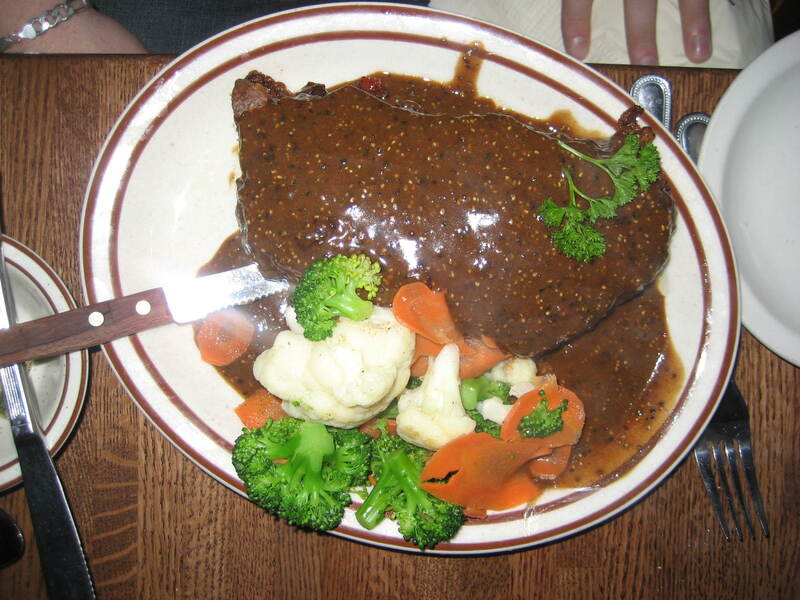 That was then – now, they are a world-famous restaurant (featured on the FoodNetwork, and reviewed by Bon Appetit, Fodors Travel Guide, the Chicago Tribune and New York Times and a bunch of other periodicals), and are especially famous for their pepper steak. 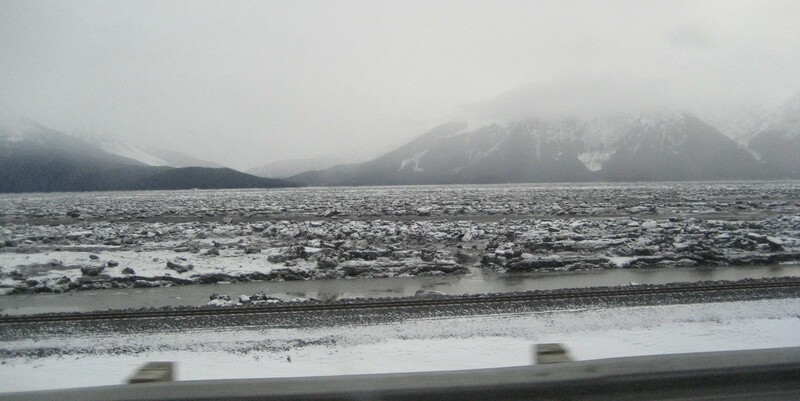 On the way to the restaurant, we drove along the Turnagain Arm, Beluga Bay. 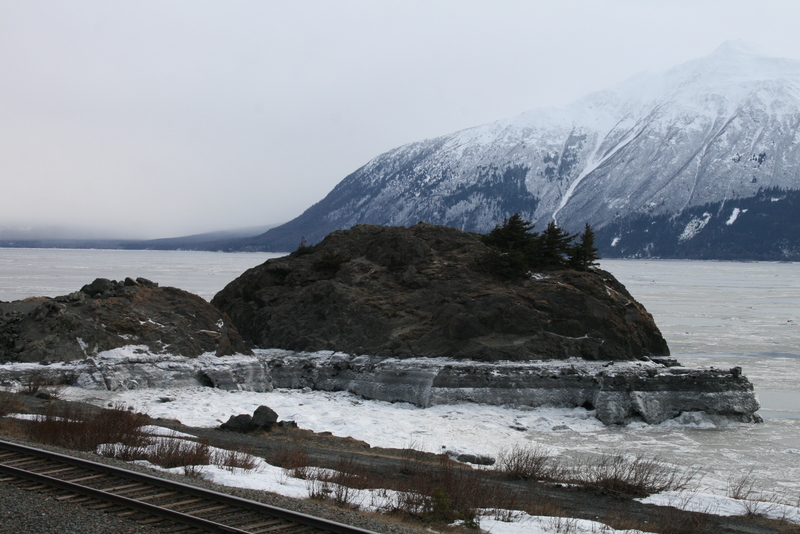 FIRST of all, and I know how ridiculous this sounds, based on the Arctic… but, I was SHOCKED to see the Ocean FROZEN! so shocked! And, it’s so interesting to see where the tide was in, froze, tide went out, and then back in later, and froze again, so it builds ice walls. I’m ALSO shocked to find out that there is a Tidal Bore there. 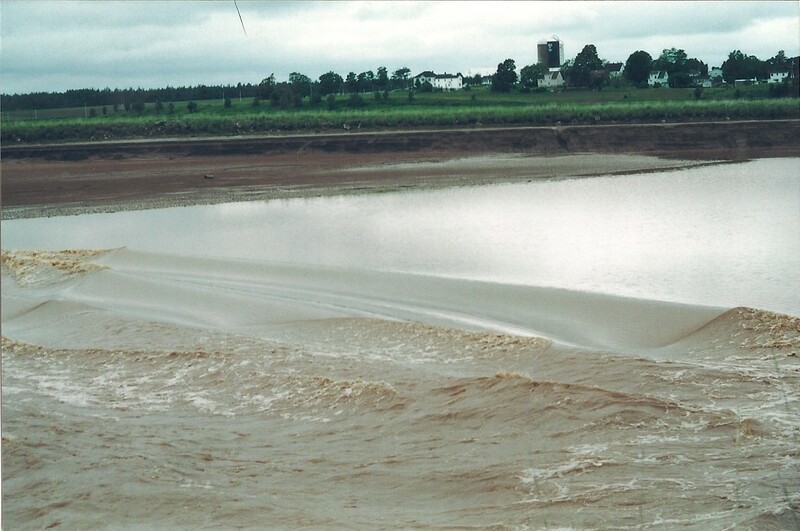 Now I want to go back, just to watch the Tidal Bore. 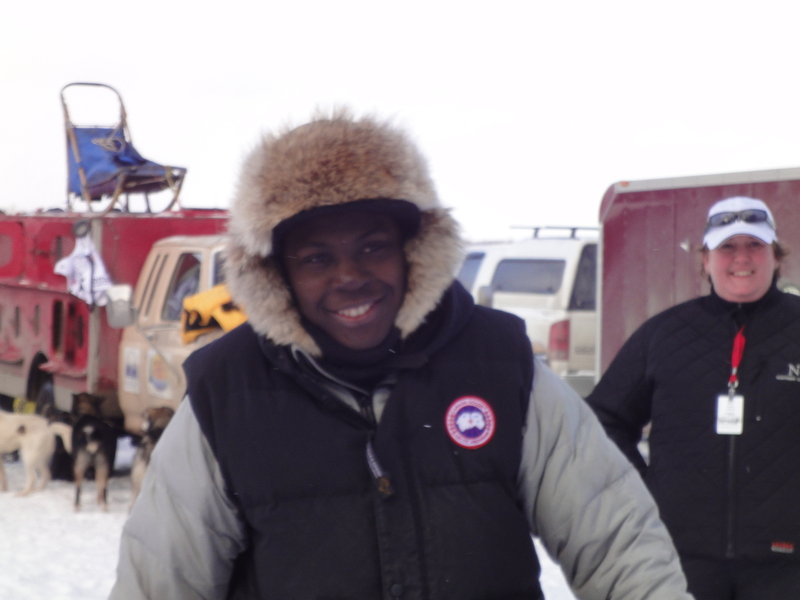 After my last blog, Shannan suggested we go back for another Iditarod, and that does stir up a bit of my adventurous spirit (if you count “spectating” as “adventurous”, but I do! 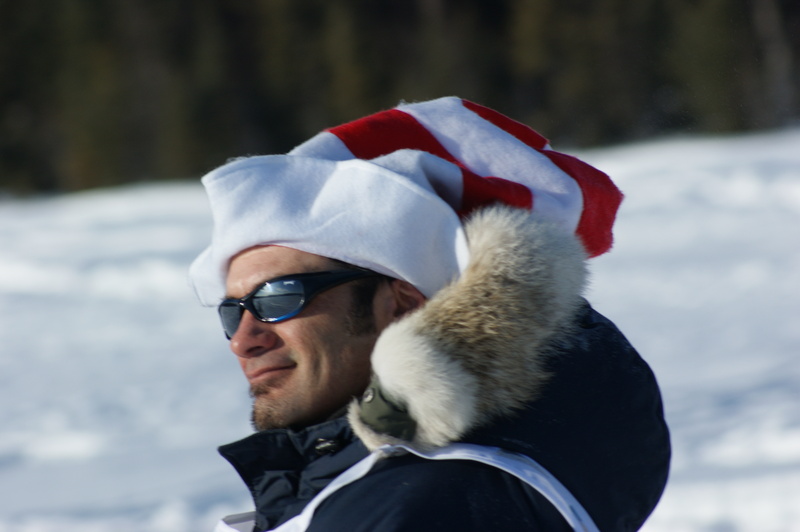 and you might too, if you go to Alaska in the winter, for the Iditarod!) 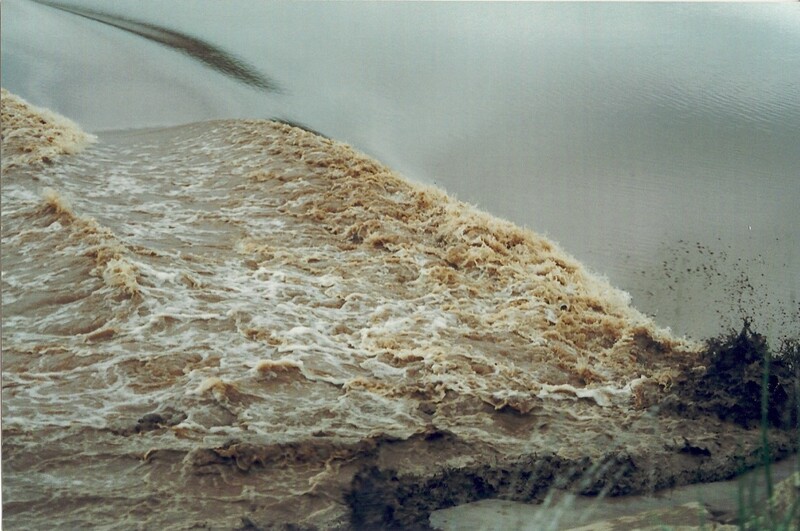 BUT, this desire to go is further enhanced by this promise of the Tidal Bore. If you haven’t seen one in person, that might sound…boring (? 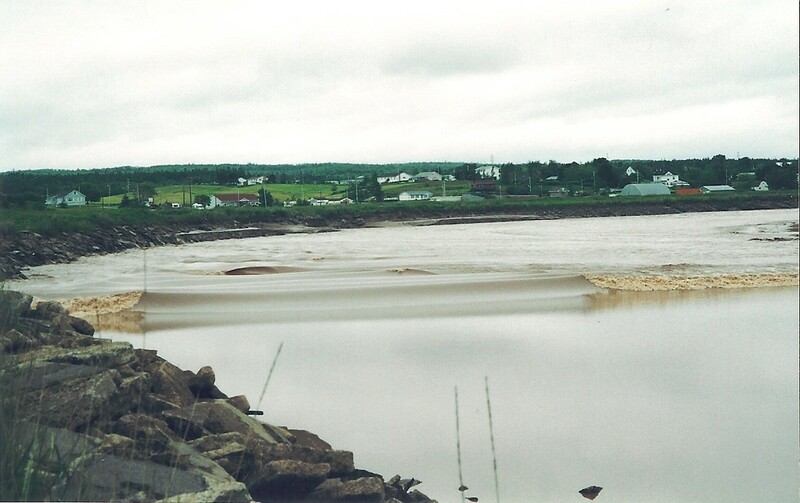 ), but we watched the Tidal Bore com e in, in Truro, Nova Scotia (definitely an upcoming blog), and that tide came in so fast and furious, I was a little breathless and just a little bit freaked out! After Saturday’s festivities, we went for dinner at Garcia’s Cantina, and then on to Willow, to prepare for the Official Restart on Sunday. 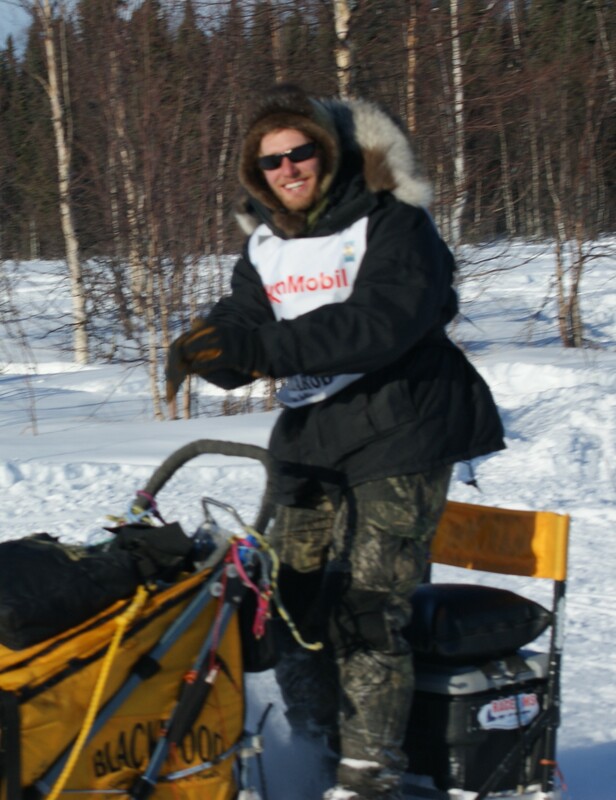 We had a house that Richard and Shannan rented (or were house sitting…I don’t remember) right on a beautiful (frozen) lake – so we could watch families of moose strolling along – and after the Restart, people going home on their snowmobiles. 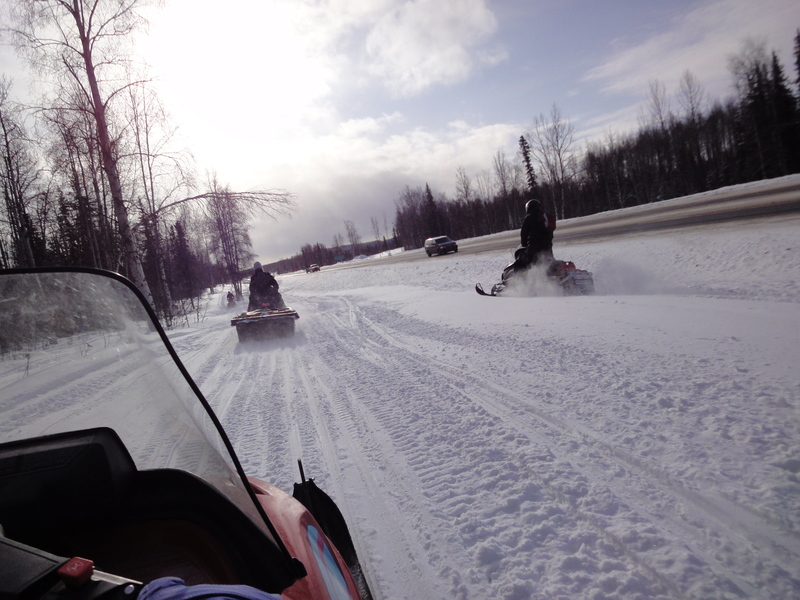 But, to enjoy the Restart, we went to Shannan’s parents (Dale & Ruby) and her sister, Stacey & her husband, Terry’s house, to organize and to gather up t he snow machines for the journey to the Restart… which, I don’t know how far away it is – maybe 3 miles? 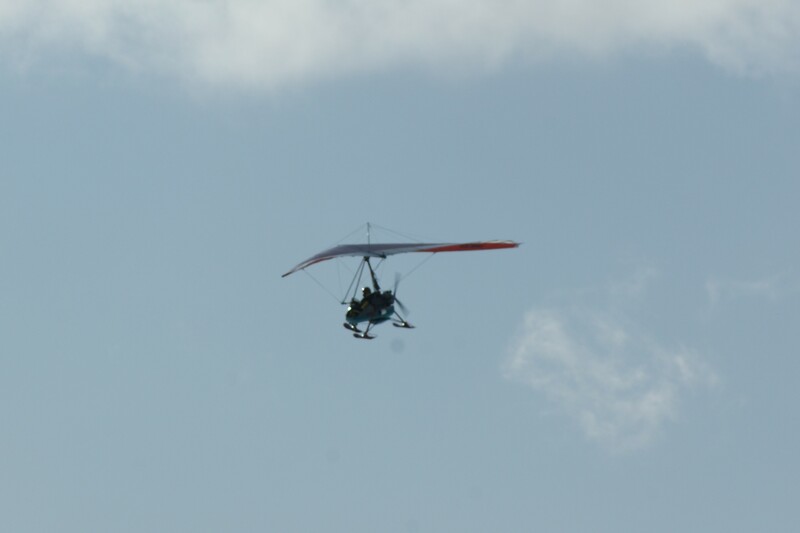 Getting there is kind of an adventure on its own – driving (riding?) the snow-machines down the highway (well, beside – and I rode with Peter because 1) I wanted to take pictures, and 2) I was afraid to drive my own) and arriving like an armada – everyone else is arriving on snowmobiles, little two-seater planes with skis for landing, some sort of vehicle with a giant …fan propeller sort of thing that pushed the vehicle across the ice… and a very few arrived by car or truck. They even have little trees in pots on the ice (we are on a lake) to make a runway for incoming planes. 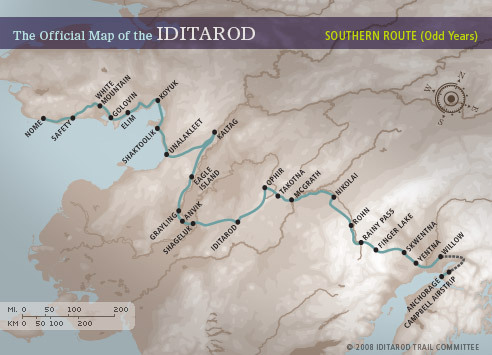 Since this was my first time there, and I’d only v ery recently found out that the Iditarod existed, I didn’t have my fan-favorite picked out yet. 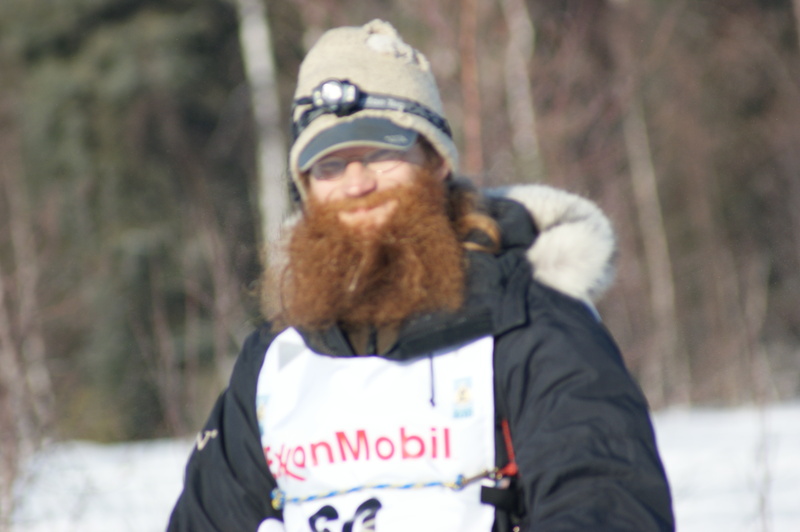 However, Stacey told me this heroic story about one of the mushers, Lance Mackey, a recent cancer survivor, who was racing, who also had just won his first Iditarod the year before, so I thought that was a good starting point, and decided to cheer for him, too! 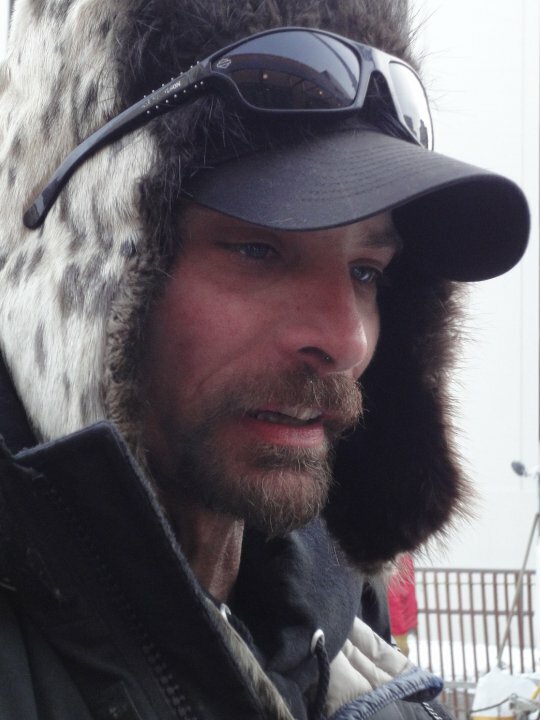 (This being said, if you read the biography on the mushers, you will find many heroes and survivors in the group, and, now that I’ve been watching for the past 4 years – well, this is my 5th year (today marks the FIFTH Iditarod Official Restart that I’ve watched), I have collected a top 5 favorites. Then, there’s DeeDee Jonrowe – she has the fastest finish time for women, and 14 Top-1o finishes. 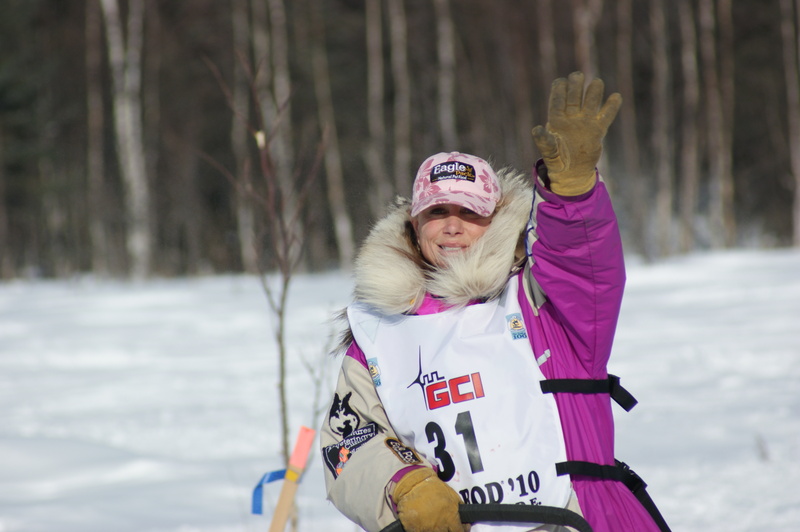 In 2002, she was diagnosed with breast cancer, and (obviously a survivor), she started one of her Iditarod races only 4 weeks after her last chemotherapy treatment. And, you can always find her in a crowd – she always races in pink. 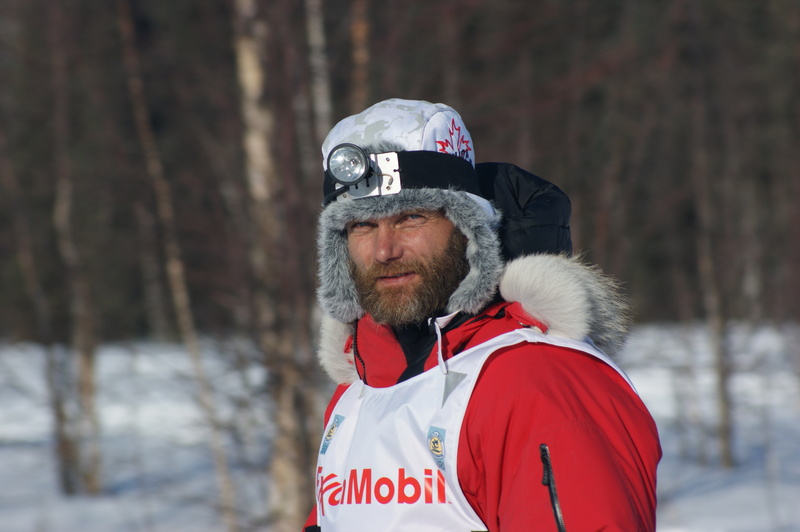 I can see that I could go on and on (AND that I have more than 5 favorites), and would eventually name every single musher as “amazing”, “heroic”, and “the one to watch.” And, even though I picked “favorites”, you can’t help but hope for the best for each of these athletes, and cheer enthusiastically for each team as they pass! Not everyone has a goal of “winning”. MOST j ust have the goal of finishing… THAT IS an impressive goal! There’s a reason there’s only 66 teams this year! IT IS TOUGH! The Toughest Race on Earth!! I meant to talk more about the great time we had, but I (surprise, surprise!) 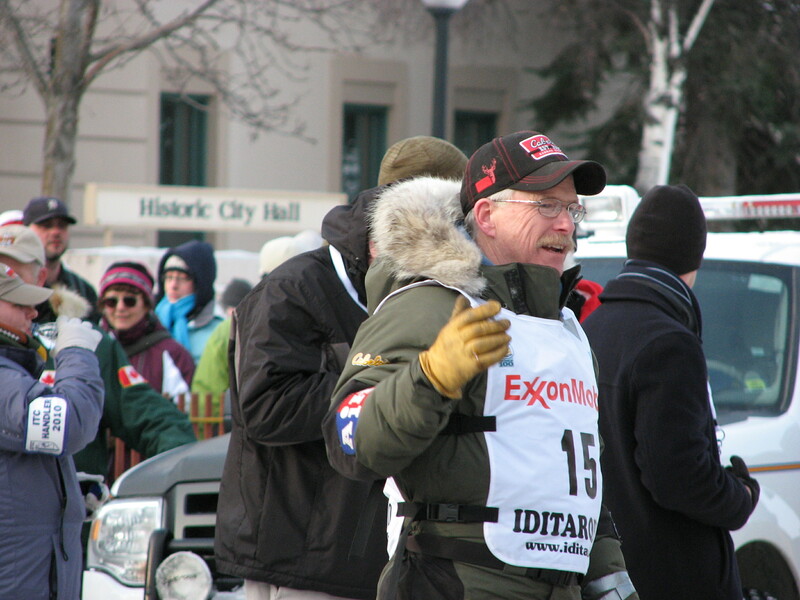 got sidetracked with the mushers and teams…so, I’ll talk more about the Iditarod on Wednesday.